Sign up for the same level you were in for the 2018/19 Season, unless otherwise instructed. For Lyrical or Jazz classes taken in the Summer, you are not required to take a Ballet class. If you are taking a Pointe class, it is advised that you also take a Ballet class, especially those in Beginning Pointe. *Session 1 Thursday classes only have 4 classes. See pricing below. This class is designed for the little ballerina that also loves craft projects. Each week we will focus on one princess, use music from her movie during class, read a short story and then create a related craft. Ages 4-7. This class builds upon learning basic ballet steps. Rhythmic skills, creative concepts, short dance sequences combined with hopping, skipping and galloping make this class the perfect fit for your active dancer. In tap, students will develop an understanding of rhythm and musical skills through a variety of center and across the floor exercises and choreographed combinations. Ages 3-4. Class will focus on basic ballet technique, proper body alignment, French terminology and musicality. Students will be introduced to elementary barre and center work. Students will also learn positions of the arms, direction of the body and increased movement across the floor. Ages 6-9. This class will focus on learning proper jazz technique such as isolations of the body, improving energy and endurance as well as developing complex rhythms and patterns. Students will be exposed to various styles of jazz such as Broadway, Street and Contemporary to help develop a well rounded dancer. Class curriculum is based on ballet technique layered with traditional jazz movement and includes a warm-up, stretches, isolations, floor work, across-the-floor progressions, and combinations. Ages 6-9. This class emphasizes the development of tap technique & terminology with an introduction to various styles of tap. Students will explore coordination, single time steps, beginning turns, short combinations, and showmanship along with rhythm and timing within a wide range of musical accompaniment. Class begins at the “tap barre” and progresses to center floor combinations and repetitive exercises, instilling a strong foundation for the beginning tapper. Ages 6-9. Ballet requires a minimum 5 yrs. ballet/teacher approval. In this level, dancers will continue development of strength and flexibility as well as expanding on grace and technique. Students move to refining technique at the barre and combining developed dance vocabulary for adagio, petite and grand allegro work. Beginning ballet class for ages 10+. Dancers will learn the same skills as Ballet 1 & 2, but will move through the material at an increased pace. Once the class is completed, a dancer can be moved at the instructor's discretion to the numbered levels. Pointe 1 is for students just starting out in pointe shoes that have completed a minimum of 1 year of pre-pointe. Dancers will learn the parts of the pointe shoe, fitting the shoes, how to maintain the pointe shoes, etc while also focusing on proper technique and strength while wearing pointe shoes. This level generally couples with Ballet 4 and requires instructor approval. At ELevate we put our students health and safety first. This may mean a dancer waits to get their pointe shoes until they are completely ready. We do not base this solely on age. Strength and experience are also very important factors. Individual evaluations are available. ​For current Pointe 2 and 3 students from the 2018-2019 season. Students will focus on learning specific variations from famous ballets en pointe. ​​Beginning lyrical class for ages 10+. 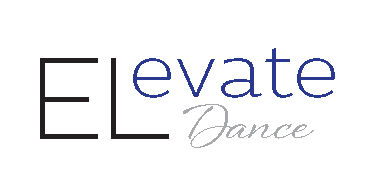 Dancers will learn the same skills as Lyrical 1, but will move through the material at an increased pace. Once the class is completed, a dancer can be moved to the numbered levels. The focus of this class is to improve upon and continue to learn new skills in the genres of jazz and lyrical. Emphasis will be on turns, jumps, leaps, etc. Tap 2 introduces new rhythm concepts and starts to explore more intricate combinations and technique. Dancers will learn to listen and reproduce various sounds and patterns. Dancers must have a minimum of 4-5 years experience. Individual evaluation is available. With a Fortnite theme soundtrack blasting dancers will tackle dances inspired by the popular game working their way up from the wiggle to the floss and the robot via orange justice, take the L, best mates, jubilation, hype, flapper, fresh, boneless and the worm. This section is for ages 7-10. Class focus is building flexibility and strength to continue growth in other classes. In this class students will study the history of various dance forms and dancers. By learning and watching some of the great dances and dancers of all times, our dancers will develop an awareness, appreciation, and self pride for dance and where the styles originated from and how they evolved.